Want to know more about how climate change is impacting Minnesotans? Our climate is changing—and Minnesota is responding. By developing cleaner energy. Lowering emissions. Protecting our water and air. We’re making changes today, and looking forward to a bright tomorrow. Download the report. Climate Change One Pagers (6 MB PDF) Use these to print individual topics. This is an initiative led by the EQB. 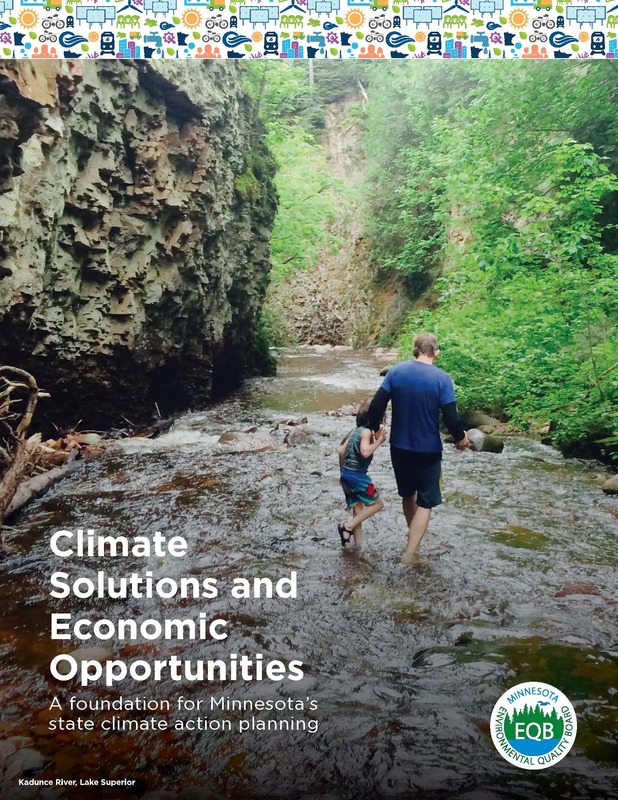 The purpose of this study is to evaluate Minnesota specific strategies from across Minnesota’s economy for their potential to reduce harmful greenhouse gases that contribute to climate change, and for their potential to grow our economy. The EQB has been working with state agencies, industries, and citizens in a collaboration called Climate Solutions and Economic Opportunities. More information about this initiative and a schedule of events are available. This project builds off of the 2008 Minnesota Climate Change Advisory Group. The modeling will be done by the Center for Climate Strategies consulting group who the state worked with in 2008.